SkinMedica®’s proven recovery compounds include essential ingredients ranging from vitamins C and E to retinol to TNS®, our patented blend of growth factors, soluble collagen, antioxidants and matrix proteins. The impact is clear – fine lines are reduced, age spots and discoloration fade, and skin texture and elasticity is improved. 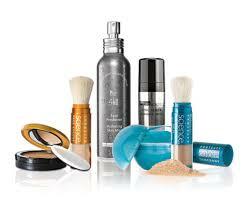 All results of our commitment to creating a lifelong skin care solution for healthier skin. 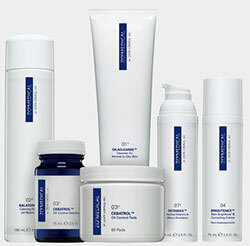 Ingredients such as growth factors, antioxidants, retinoids, essential fatty acids, and hyaluronic acid as well as other molecules naturally found in skin have been thoughtfully chosen and incorporated to provide all of the elements necessary for enhancing the natural process of skin rejuvenation. Dr. Obagi’s new line of skin-care products, ZO Skin Health, bridges the gap between therapeutic medical products and daily skin care. ZO Skin Health has developed a wide spectrum of therapeutic treatments for everyone regardless on skin condition, age, gender or ethnicity. Based on the latest advances in skin therapy technology, biotechnology complexes, plant stem cell components, and multi-therapy delivery systems – these products and programs have been optimized for your specific needs. You may be surprised to know that medical journals have linked thinning and loss of eyelashes to aging. 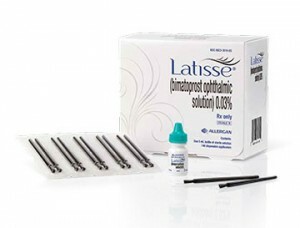 When Allergan analyzed the photos of a subset of women with inadequate or not enough lashes from the LATISSE® clinical trials, they noticed that the older women had thinner, shorter and lighter lashes at week 0, compared to the younger women in the trial. The demographic data suggests there may be a downward trend of eyelash fullness, length and darkness as women with inadequate lashes age. 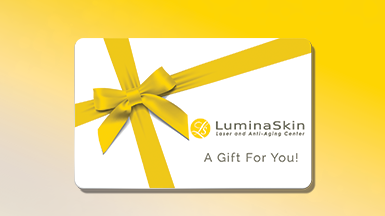 As with any prescribed treatment at LuminaSkin, you will be required to provide your medical history to determine if you are a candidate for any of our products. A LuminaSkin licensed healthcare professional will consult with you regarding performance expectations, pricing, how to apply and answer any questions you may have about any LuminaSkin treatments or products. We invite you to schedule a complimentary consultation by filling out the form at the top of this page or by calling our office at 650.401.6060. We look forward to hearing from you.